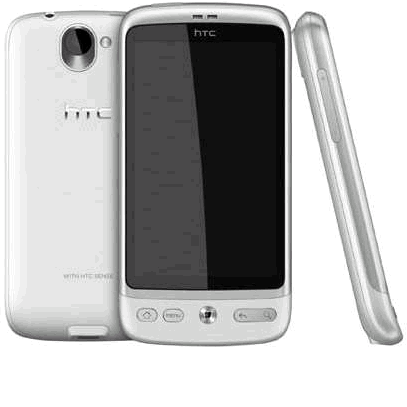 If you live in European markets, you may be glad to hear that HTC is offering a new color for two of their phones: the HTC Desire, which will soon come in "Brilliant White", and the HTC Legend, which will soon be available in "Phantom Black." There's no doubt that each phone looks really slick, but you've got to wonder the purpose of a black Legend: wasn't its main appeal the gorgeous metal finish? 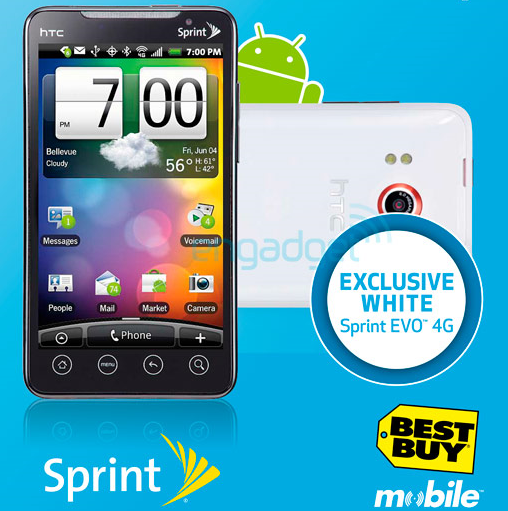 This was unexpected - Best Buy is offering exclusive preorders on a white version of the HTC EVO 4G, scheduled to arrive in Best Buy stores on July 11th. The white version is going to have the same specs and price of $199 on a 2-year contract. As usual, a $50 deposit in the form of a Best Buy gift card is required. I am not sure personally that I would like the white version over the black one, but I guess some people expressed desire for one.